I’ve seen on rare occasion, a piece that fits in the Hardie hole, it has a sharp edge on top to aid cutting hot metal. A Hardie is what you put in a Hardie hole! I have four tools that fit into the hardie hole, I didn’t know they were called hardies, one of them is metal cutting chisel, two are four inch squares with semicircular grooves of different diameter cut into them and the other is a tall pyramid with a rounded top. pikies, the scourge of society is why I don’t have an anvil. I have never seen an anvil with the face welded on, it should be fastened on there by braising. I would think that with the face welded on you will never get the correct response from any hammer and that response is what separates a good anvil from a crap one. 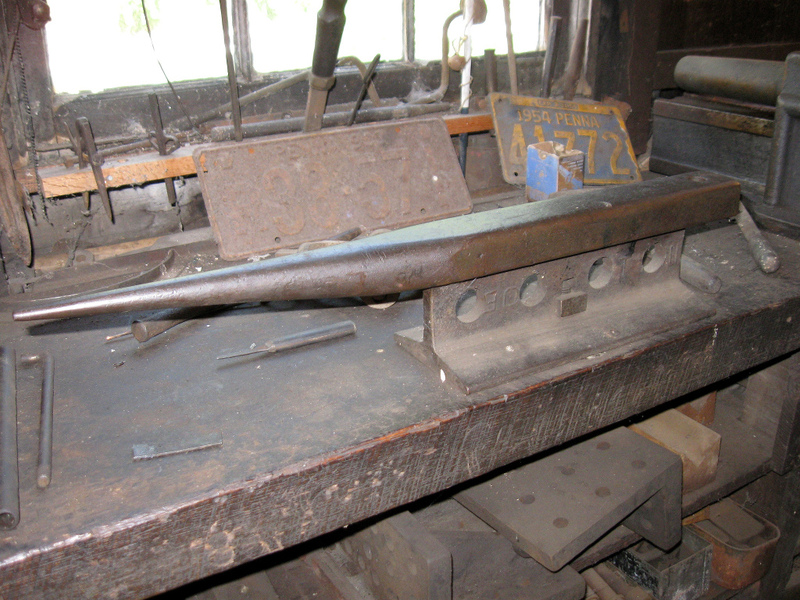 Many anvils had / have their face welded on. They did it by preheating the tool-steel face to welding temperatures and casting the molten cast iron / steel in the rest of the mold. They would then fuse ( weld ) in the mold. Fisher anvils are the probably the most famous for it. Refacing one of those must be a real pain. In general you don’t want to reface an anvil if you don’t have to. If you have significant chips in the corners it may be worth it, but the weld will heat the local area up enough to have lost the temper in the immediate area surrounding it, making the face softer. You can get hard facing rods to redo an entire surface, it won’t be manufacturer hard, but it will be serviceable enough. 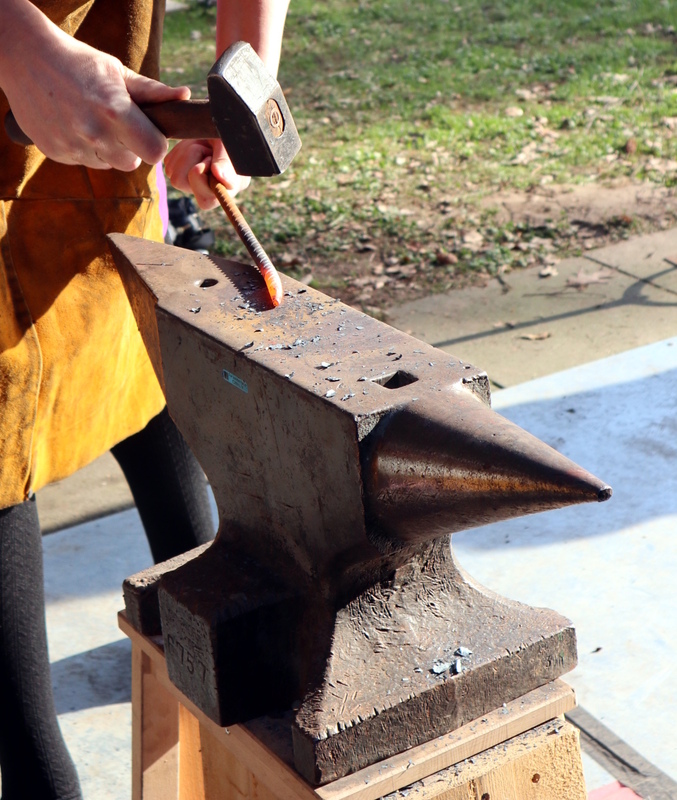 However, it is expensive and time consuming, enough so that you would only really want to do it if you had no other means of getting a serviceable anvil. You beat me to it. Not all welding is arc welding. We had blacksmithing classes at school. The forge was a gas powered one, the anvils sat on small sections of a trunk. We would spend like 3 hs a day hammering a piece of metal, took us like 2 months to produce two nails out of a 20 cm cylinder. We were 14 didn’t have that much force then. Schools was at times lots of fun. Same here, the forge was coke with a blower, made pokers with twisted section, a cold chisel which I still have, amongst other things, a vat of whale oil for quenching and blueing, lathes, drills, kilns, bandsaw, etc, teacher would show us what to do, then left us to it, if we hurt ourselves it was our own stupid fault. For five years I carried a medium ball bearing in my pocket everywhere, just in case I found an anvil for sale cheap. If the ball bearing bouced off of the face very well, then I would make an offer on the anvil. I have heard of that elsewhere. In audiophile circles a there is a similar test, as put forth by Stereo Review magazine back in the early 1980’s. The Elastic Rebound Characteristic or ERC. It is height a phono cartridge bounces when dropped 1 meter onto a polished marble surface. Did you obtain any anvils that way? Yeah, I got a decent large anvil for about $150, with a cast iron stand. Checked it with the bearing before buying, as it will barely bounce and kind of just go “clunk” on a cast anvil, but it rang as it bounced, and came up to about 80% of the height it was dropped from, so at least the upper part is forged. Even for as old as it is, you can clearly see where the forged part is welded onto the bottom two inches of base, so it wasn’t the top of the line from 100 years ago, but good enough and still better than a Horror Fright A.S.O. 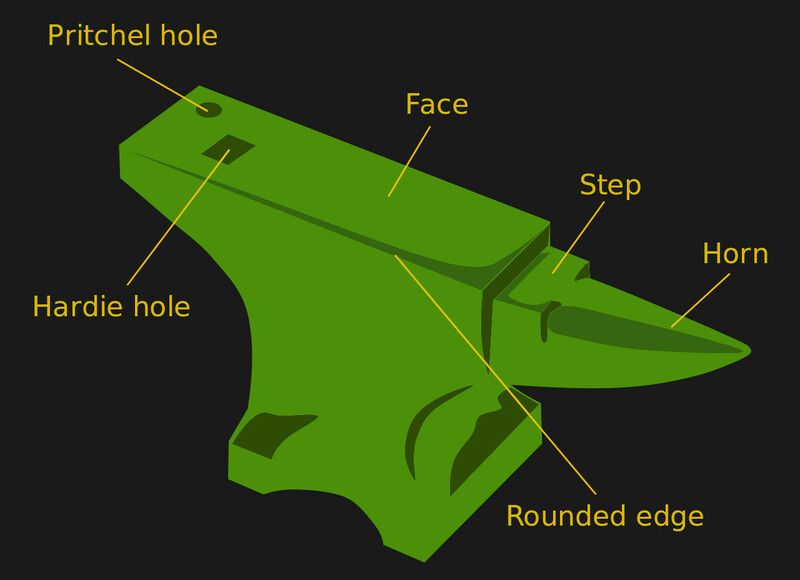 (Anvil Shaped Object). I would have to walk a different path to find an anvil for sale. Perhaps that is why I enjoyed this article so much. Keep it up Jenny, I am still making up my mind if I want to work metal with a hammer and tools. I hope I encourage you. Really good idea. I would have hit it with a hammer, but hammers aren’t as portable. I had an anvil with half the face beaten off, which is a common condition to find them. I built the broken face section up with hardfacing welding rod and ground it down flat. It made a passable repair. There’s a use case for a CNC 3D weld-printer. First grind the top of the anvil down. Second, evenly weld it up. Third, surface grind it flat. I’ve heard tales of that being done, though never worked such an anvil. What annoys me is when I see anvils with that scale of damage for sale at solid-gold prices. Anyone looking to get an anvil at a reasonable value may want to consider going to Quadstate in late September. It’s in southwest Ohio and (supposedly) the largest gathering of blacksmiths in the world. You’ll find tons of anvils there for sale, and people are willing to haggle a bit, because they don’t want to have to pack the anvil back up and haul it back home.